Some of the climbing walls at Climbzone Laurel. With a limited amount of time, my friends and I wanted to give our Japanese exchange student a fun time while she was here in America. That led us to indoor rock climbing. We went to the ClimbZone in Laurel, Maryland. When we stepped in, we were greeted with an enormous and colorful facility. 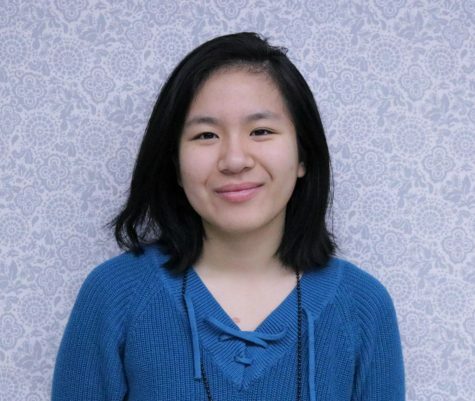 Despite the cold winter weather, it was very humid inside. Before we could pay, we had to sign a safety release form, and luckily we were 18 years old and could sign ourselves in. The standard package was $25 for 3 hours. The staff were really friendly and glad to help us first timers settle right in. The equipment was very simple to operate, so we did not need any assistance or overwatch beyond putting on the safety gear. There was a free cubby storage for us to put our stuff, however with no lock or door on it the only security was that it was in plain view of everyone. Not the most reassuring storage, but you could always leave your things in the car so it was not a big issue. 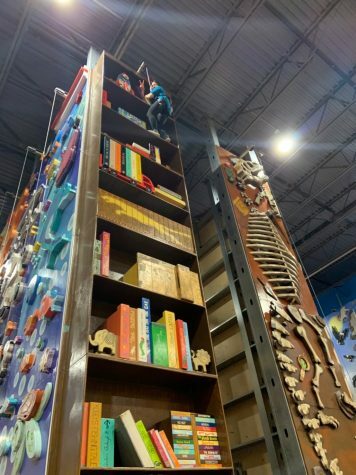 Climbing wall designed like a bookshelf at Climbzone Laurel. Once we were all settled down, we ran to whichever climbing wall caught out eye first, and in that case everything did. Instead of the standard climbing walls with primary colored rocks against a grey wall, each of the climbing walls were decorated with a different theme. One was designed to look like a bookshelf, another had you climbing up the bones of a dinosaur. There was even one where you were climbing up Rapunzel’s hair to her tower. It felt like being a kid again as you climbed up the fantasy-like walls and jumped down in the air, only now with the extra bonus of possibly burning up to 900 calories an hour. Not knowing the basics of rock climbing at all, one might think the assistance of an instructor would be helpful一which some facilities do provide一but for a recreational family-fun spot, it’s not necessary. After starting out on the basic courses, we naturally learned how to climb and instinctively would reach out for the best course to follow up the wall. The best part of this was that none of us were really in shape, but we were still able to climb decently well and unexpectedly lasted the whole 3 hours provided. So even if you aren’t in shape, I guarantee you’ll surprise yourself and enjoy it. Indoor rock climbing was also a great opportunity to let go of your stress. Sometimes when I lacked the energy to scale another step higher, I powered through by venting my stress to lift myself. Focusing on something else, the satisfaction of reaching the top, and exerting yourself physically really helped me mentally and physically. And if you’re afraid of heights, rest assured the equipment is really safe. engage in indoor rock climbing as it doesn’t have the hassles of planning and travel outdoor rock climbing entails. 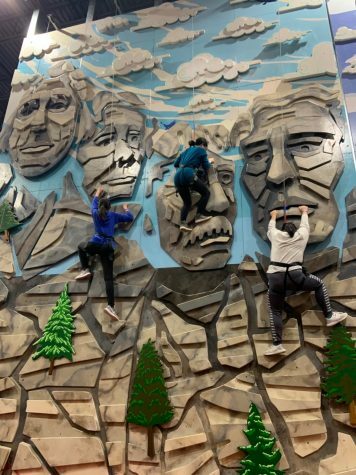 Climbing wall with Mount Rushmore theme at Climbzone Laurel. 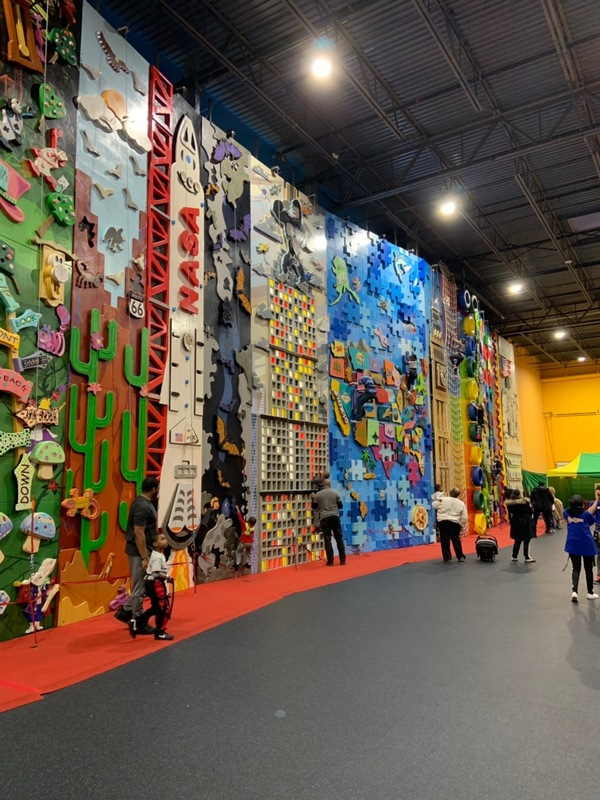 In addition to the action-like adventure of rock climbing, my friends and I agreed that our favorite part was how, instead of venturing off on our own, we all stayed together and cheered each other on as we attempted to climb the wall. We could also help guide the climber to the next best object to grab on the wall that they might not see, making it a great bonding activity. 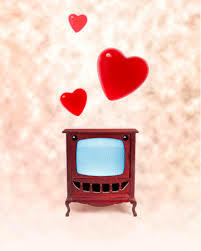 It was very heartwarming, and not just cause we were sweating. 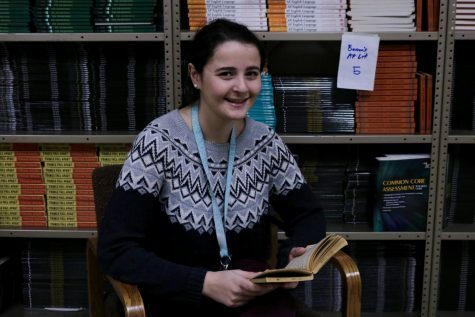 It really helped break down the language barrier between the exchange student and us. Even among the rest of us who were already good friends, I felt us bond more. We definitely all left a lot closer than we started. 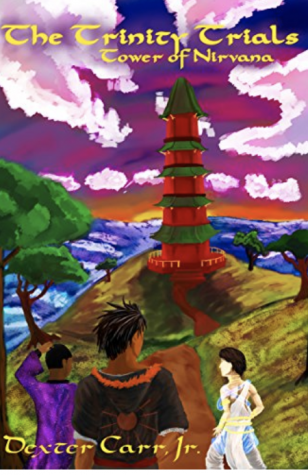 Whether you go with yourself or a group of friends, I can guarantee you will definitely enjoy your time there.